The Association for the Advancement of Alternatives Assessment (A4) is a professional association solely dedicated to advancing the science, practice, and policy of alternatives assessment and informed substitution. A4 is an interdisciplinary community of researchers and practitioners from government agencies, academia, industry, and non-profits working collaboratively to accelerate the transition to the use of safer chemicals, materials, processes, and products. The A4 includes professionals representing the broad range of scientific disciplines involved in alternatives assessment and informed substitution – toxicology, exposure science, engineering, chemistry, lifecycle assessment, law and policy, and economics, among others – who are working to advance the methodological underpinnings, best practices, and professional capacity for the field. The vision of A4 is that every essential function performed by a chemical, material, process, or product is achieved with safe and sustainable solutions. The mission of A4 is to enhance the science of alternatives assessment, advance informed substitution, and support a vibrant, effective community of practitioners. What Is Alternatives Assessment, Informed Substitution and Safer by Design? Supporting informed substitution. The US EPA defines informed substitution as “the considered transition from chemicals of higher concern to chemicals, materials, and processes of lower concern.” Using alternatives assessment minimizes the likelihood of unintended consequences, which can result from a shift away from a hazardous chemical without fully understanding the safety and feasibility profile of potential alternatives based on the best information that is available or can be estimated. Supporting safer by design. The alternatives assessment approach can be applied to product and process design decisions. By comparing and selecting safer and chemical or material ingredients that achieve the necessary function in a given product formulation or technology, product developers can create options that are truly “safer by design”. There are increasing regulatory and market pressures for companies and other chemical users to replace chemicals of concern with safer, more sustainable substitutes. 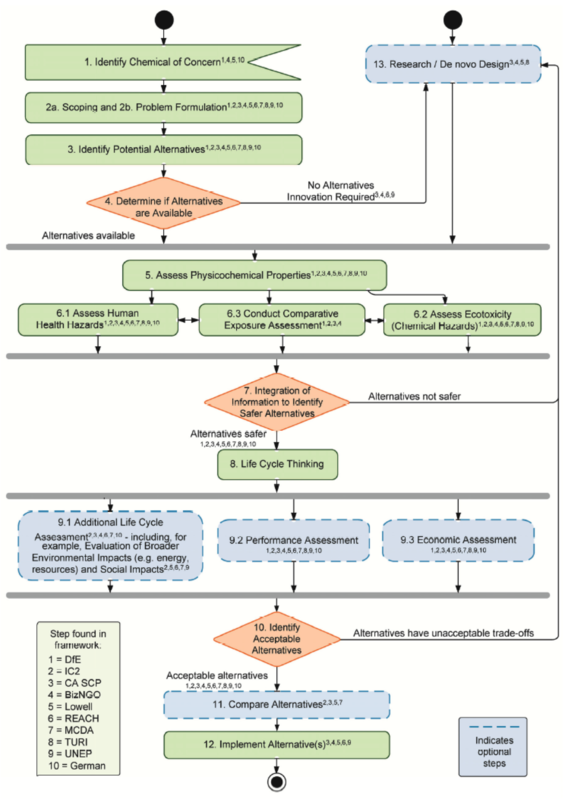 Alternatives assessment has evolved as a science-policy approach for systematically evaluating the pros, cons, and trade-offs associated with chemical, process, and design substitutes. While there have been important scientific and technological developments in alternatives assessment methods and tools (including hazard, exposure, performance, cost, and life cycle considerations) and their application in public and private substitution decisions, there currently is no organization that convenes the multiple disciplines involved in both the methodological development and practice of alternatives assessment and informed substitution. Promote high standards of quality and expand alternatives assessment and informed substitution practice. The A4 provides a forum for advancing sound science to support quality assessments, developing professional excellence, enhancing capacity, and sharing best practices in the field.